A lot of leaders think that their task is all about reaching organizational goals, reaching financial goals, and making the customers happy. And in order to do that some leaders truly “ride” their people. They push them hard, they yell, scream and / or control. And then they wonder why it is so darn hard to accomplish goals. Smart leaders realize that they can only reach their goals through and with their people and in order to have their people work at their natural best, they have to serve their employees and truly care about them. 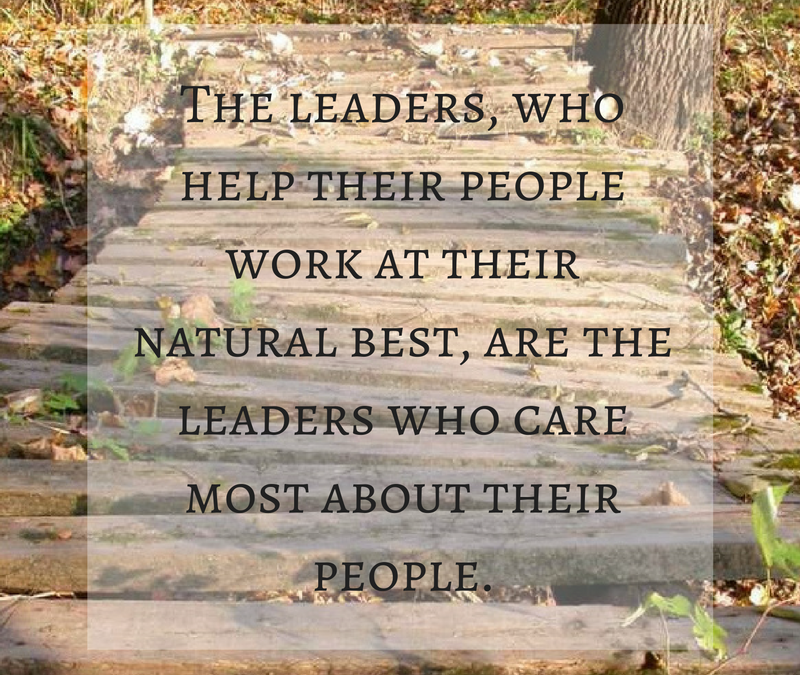 When people know that the leader cares about them, they are willing to do their best. And a company can only reach their goals if the people inside of it do their best. So how can you better care for your people? How can you let them know that they matter? How do you bring out their natural best?